Real estate requires a substantial amount of maintenance for optimal safety and functionality. Part of regular maintenance for any property is comprehensive electrical safety inspections. If you have yet to have your property inspected for electrical safety, now is a good time to assess the current condition of your electrical system. 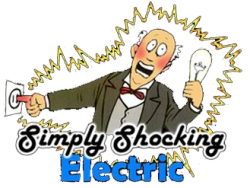 The licensed electricians with Simply Shocking are available to conduct real estate and home electrical safety inspections for those in the Portland, Gresham, and Beaverton, OR areas. Annually, tens of thousands of homes and properties encounter fire emergencies as a result of faulty or compromised electrical systems. Don’t let your property become victim to an electrical fire and protect yourself and your investment with a real estate and home electrical safety inspection today. Should you notice any of the above signs of electrical malfunction, or if you suspect electrical malfunction for any reason call Simply Shocking immediately so a competent electrician and assess the problem and prevent any impending electrical disaster. At the completion of the electrical inspection, you will be provided with a written assessment outlining the condition of the electrical system. You will also be informed about potential issues and recommended maintenance needs to keep the system in top shape. Simply Shocking understands that keeping your family safe is your top priority. Part of keeping your family secure, is making sure your home’s electrical system is intact. Current homeowners are encouraged to have their electrical systems inspected every few years. While soon to be homeowners should have this service conducted before purchasing a new home as home inspections do not typically include a comprehensive electrical safety inspection, especially for older homes. Allow Simply Shocking to give you and your family piece of mind and contact us for a reasonably priced residential home electrical safety inspection in the Portland, Oregon City, Gresham, and Beaverton, OR areas. Your electrical safety is the top priority, call now to schedule your appointment. 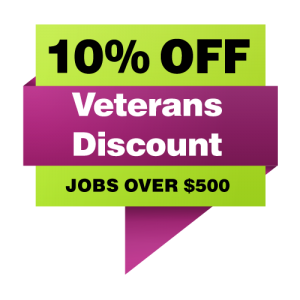 We appreciate your business and we are looking forward to serving you.